JKMRC publishes a unique and widely-lauded series of monographs on mining and mineral processing, designed to help practitioners do a better job in operations, consulting, engineering services and research. The books combine practical method with scientific rigour by the world-renowned expertise available at the JKMRC, and its peer groups, to deliver effective solutions to problems that professionals are required to solve in the field. Because of the applied research basis of the expert knowledge captured in the monographs, the books can also be a valuable aid for undergraduate and postgraduate students. Each book is designed as an integrated approach to a particular topic, written by top experts in the field and including many illustrative case studies. 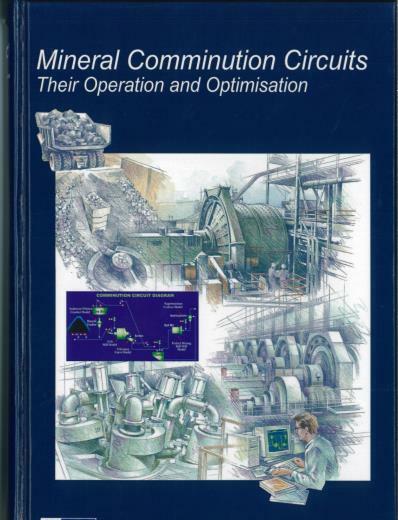 ‘Mineral Comminution Circuits’ is the standard work on the operation and optimisation of comminution and classification circuits, and a guide to process simulation using JKSimMet. ‘Open Pit Blast Design’ covers the blast design and monitoring methodology developed by JKMRC researchers over many years of applied research in Australia and overseas. 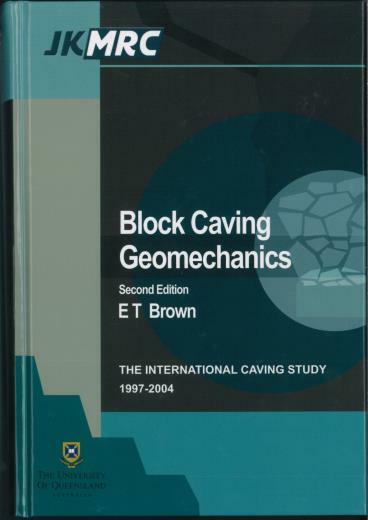 Similarly ‘Block Caving Geomechanics’ makes available the knowledge gained in the first International Block Caving Study, and the latest in the JKMRC series, ‘Guidelines on Caving Methods’, builds on this knowledge based on the succeeding Mass Mining Technology research program. 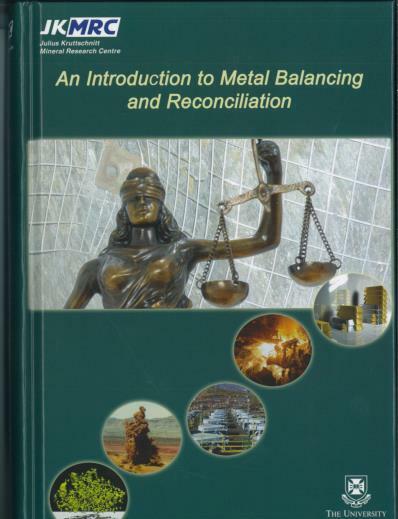 ‘Metal Balancing and Reconciliation’ provides metallurgists and geologists with the information necessary to practice these essential skills and complements the Draft Code of Practice developed as part of an AMIRA project. ‘Statistical Methods for Mineral Engineers’ is a comprehensive and practical guide to collecting and analysing data, including plant trials, and ‘Process Mineralogy’ is a wide-ranging treatment of principles, methods and technologies in this vital process discipline. Since being mechanized, cave mining methods have been steadily evolving to suit the prevailing economic, geological and geotechnical conditions. These methods, which broadly speaking are classed as mass underground mining options, have not always been successful in meeting the production demands of metalliferous mineral commodities including copper, copper-gold, molybdenum, nickel, iron ore and diamonds. These problems have sometimes resulted in high operating costs and poor ore recoveries, significantly reducing the number of projects achieving the desired production rates. This unfavorable situation has partly been the result of the gradual decline in the number of people with longstanding practical experience in cave mining methods. This has resulted in non-adherence to the established underlying principles of cave mine planning, construction and operations. The MMT projects (II and III) funded the preparation of these Guidelines, utilizing the combined knowledge and experience of D.H. Laubscher, A.R. Guest and J. Jakubec, who arguably represented three of the cave mining industry’s most experienced practitioners. The Guidelines are not a recipe for caving mining design, planning and operation. They are intended to be used principally during feasibility studies as high-level reference by the project study managers to ensure that the underlying principles of cave mining are adhered to. 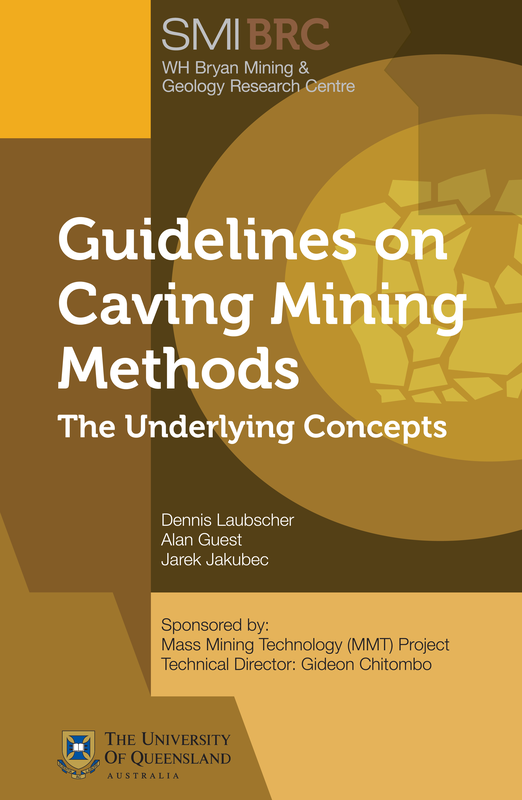 They are not to supplant the absolute necessity for subsequent detailed technical analysis and modelling for actual design and operational parameters as ALL cave mining prospective deposits are different and require site specific parameters but in accordance to principles stipulated in these Guidelines. Written by a collection of internationally recognised specialists, this book is a practical and informative resource for anyone whose job is related to minerals and their processing. Written by a collection of internationally recognised specialists, this book is a practical and informative resource for anyone whose job is related to minerals and their processing. 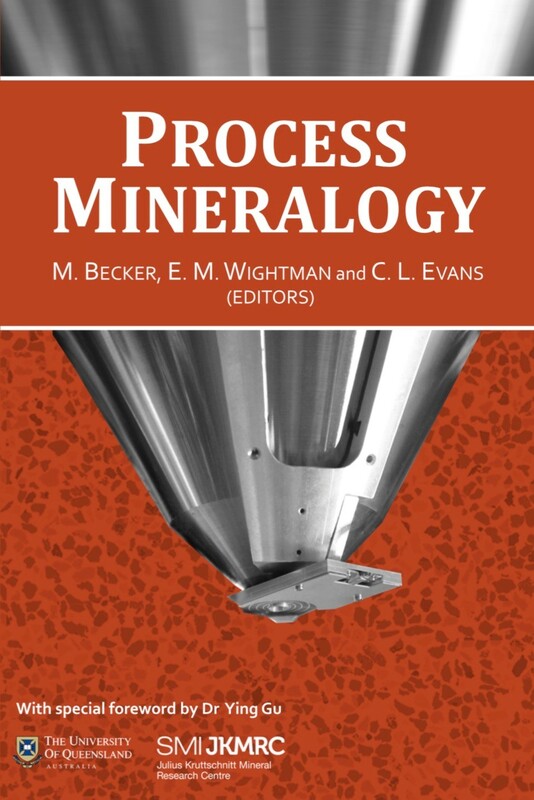 As the title suggests the book is about process mineralogy and provides information on a number of the currently available tools for mineral characterisation together with a wide range of examples showing how they can be applied. 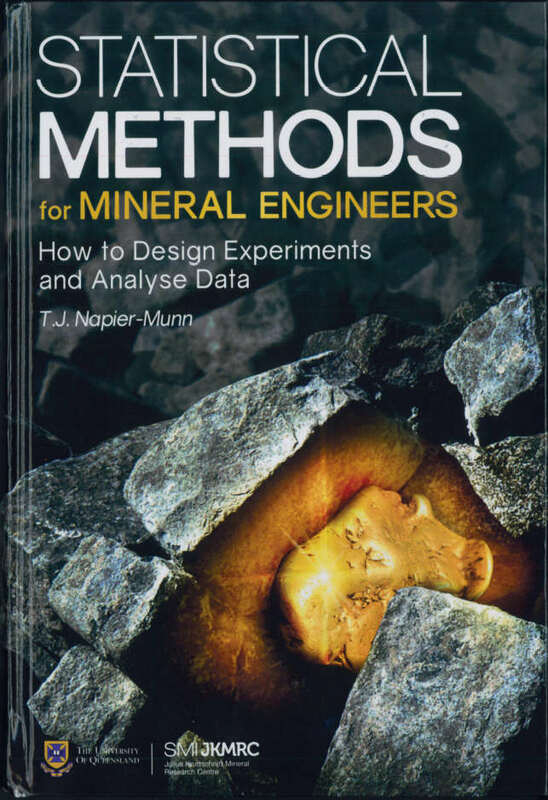 The chapters of the book have been divided into three main sections with the first highlighting a number of the key tools and techniques used to collect the mineralogical data needed to measure process performance. Information on how to apply the resulting data in process analysis is provided in the second section of the book while the final section is dedicated to case studies. The case study section provides a unique collection of examples which demonstrate current practice in the selection and application of characterisation tools to solve process mineralogy problems in a broad range of commodities and processing contexts. Specialised and advanced mineralogical characterisation tools. How to use the data. Examples from a wide range of commodities including: base and precious metals, coal and iron ore. 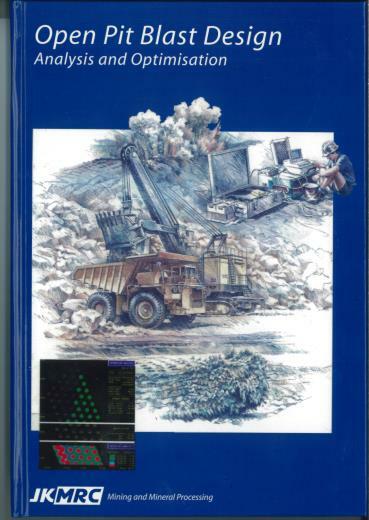 Written by a mineral engineer for mineral engineers, and packed with real world examples, this book de-mystifies the statistics that most of us learned at university and then forgot. It shows how simple statistical methods, most of them available in Excel, can be used to make good decisions in the face of experimental uncertainty. Written in accessible language, it explains how experimental uncertainty arises from the normal measurement errors and how statistics provides a powerful methodology to manage that uncertainty. It assumes only that the readers are numerate, can use Excel, and want to do a better professional job. It is aimed squarely at mineral engineers and allied professionals (such as chemists) on the mine site, in head office, in engineering and supply companies and in universities. Most of the examples are illustrated in Excel but Minitab is also used for advanced techniques. The book includes over 100 Excel and Minitab hints. Example spreadsheets can be downloaded from the JKMRC and JKTech websites (see book for URL). The book is based on the author’s world-renowned professional development course on statistics for mineral engineers, but covers much more material. the presentation of data – charts, tables and PowerPoint. uncertainty in data – precision, accuracy, the normal distribution, sources of error. comparing quantities using hypothesis tests such as the t-test, F-test, chi-square test, ANOVA, non-parametric tests. modelling using regression analysis, including linear, non-linear and weighted regression. designing and analysing efficient experiments and plant trials. time series analysis, including variograms and time series models. multivariate analysis (PCA, clustering, binary logistic regression, MANOVA). performance monitoring and optimisation, including statistical process control and EVOP. statistics for chemists and mineralogists, mass balancing, sampling (Gy theory). a selection scheme to choose the appropriate statistical tool for the job in hand. Comminution processes such as crushing and grinding constitute a significant proportion of capital and operating costs in mineral processing plants, and are critical to the economic performance of most mining operations. This book will help practising engineers get the best out of their comminution circuits through a well-proven methodical approach to process optimisation. Based on experience over 30 years of research and consulting, the book provides the reader with the background and techniques necessary to maximise process productivity. This book addresses the challenge of optimising the design of blasts for open pit mines and quarries. It presents a practical approach to the design and assessment of blasts, and demonstrates how blasting operations can be engineered not only to solve classic blasting problems, but also optimise blasting performance to meet the needs of excavation and downstream handling and beneficiation processes. The approach utilises the computer-based methodology and monitoring instrumentation developed by the JKMRC Blasting Group in over 15 years of applied research and consulting in Australia and overseas. This book is intended to assist drilling and blasting engineers to understand their current operations and to modify blast designs and field practices to achieve target blasting performance. The text will also be of value to students of mining, civil engineers or environmental technology and engineers not directly involved in blasting practice but whose function requires them to have some knowledge of the technology. The Block Caving Geomechanics monograph, published in 2003, was extremely well received and deservedly lauded by practitioners in both the mining and geomechanics communities. This publication seeks to build upon that knowledge base and further articulate the more recent advances in the science associated with caving methods. It also represents the first in a new series of JKMRC monographs to be progressively released, covering such diverse topics as comminution, flotation, process mineralogy, metal accounting and statistics. Caving is increasingly the mining method of choice for massive, low grade ore deposits. The various techniques and methodologies associated with the caving are now being applied on a global basis, though mostly in competent rock masses. They are also being increasingly considered in mining environments currently outside existing practice. The future technical challenges facing the Industry in such environments are considerable. Applications are now being assessed at greater depths, associated with significantly more problematic stresses and rock mass characteristics. This text book is one outcome of the AMIRA Metal Accounting and Reconciliation Project P754. P754 is a collaborative research project which addressed the need for a more standardised approach to metal accounting in the mineral industry. A key outcome of P754 is a Code of Practice and supporting guidelines. The industrial sponsors of P754 - Anglo Platinum, Anglo American Technical Division, BHPBilliton, Rio Tinto, Zincor (a Division of Exxaro Resources) and Namakwa Sands (at the time, a Division of Anglo Base Metals) - have made the code and guidelines freely available to the industry to encourage their wider adoption. While the code and guidelines provide principles to be followed and advice, this text book provides a more detailed guide on how the principles can be put into practice. It also covers application to a wide range of mineral products and commodities. The research providers for P754 were the University of Queensland through the JKMRC, the University of Cape Town Centre for Mineral Research and the University of Stellenbosch. Seven post graduate students were supported by the project. 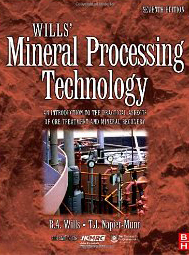 'Mineral Processing Technology' provides practising engineers and students of mineral processing, metallurgy, and mining with a review of the common ore-processing techniques utilized in modern installations. Each chapter encompasses all the recent technical developments that are advancing at a rapid rate to deal with the processing of increasingly complex and refractory ores. New equipment and process routes are also discussed. Now in its Seventh Edition, this renowned book is a standard reference for the mineral processing industry. Chapters deal with each of the major processing techniques, and coverage includes the latest technical developments in the processing of increasingly complex refractory ores, new equipment and process routes. The 7th edition was prepared by a JKMRC team and edited by Tim Napier-Munn. The Excel spreadsheets shown in Appendix III of the book can be found here. These spreadsheets calculate Gy’s sampling formula, 2-product formula errors, and simple mass balance optimisation. THE JKMRC DOES NOT SELL THE BOOK AND HOLDS NO COPIES.